Influencer Marketing Days 2017 will feature an array of speakers from various professional backgrounds, walks of life, niches, and geographies. One of them is Sharon Hibbard, an expert in marketing communications, with whom I’ve had the pleasure of discussing influencer marketing: specifically the challenges that influencers face. Below you may find this newest meet-the-speaker interview. Sharon: I am originally, and always, a New York-er, currently living near Chattanooga, Tennessee. I love animals, great food, good books, long hikes in the mountains, and the sound of running water – rain, creeks, rushing rivers, waterfalls… except when I need to use the restroom. I am a communications specialist, and the CEO of Compelling Content Creation. My personal ‘brand persona’ is the ‘Message-to-Money Mentor,’ and as such, I help entrepreneurs and independent business owners to network, speak and sell their way to success. I can show you how to identify your unique, client-attracting message and then monetize your message by infusing it into every form of communication you use to market your business, both online and off… so you can attract your ideal prospects – easily, authentically, and without seeming salesy or insincere. When your message is truly ‘magnetic’ your audience will not only understand what you do – and what you can do for them – but they will identify themselves as wanting and needing what you do… and that is why they will invest in you, purchasing your product or service, or supporting your cause. The bottom line? I help business owners to easily attract more connections, clients and cash… so they can make more money doing what they love to do. The magic is in your message… and so is the money. Question: What do you believe to be the biggest challenge that influencer marketing, in general, and influencers, in particular, face now? Sharon: I believe the biggest challenge today is market-saturation. In a few short years, suddenly ‘everybody’ is an expert… a guru… a ninja. This makes establishing credibility, as well as familiarity, trust, and unique individuality more important than ever before. Yes, it is still all about the ‘know-like-trust factor’ and today, if this is not earned through authenticity, vulnerability and with integrity, it will likely not be earned at all. Question: How can marketers effectively deal with this increasing immunity to (and skepticism about) all the “experts” and “gurus” out there? Sharon: Again, I believe the only way to overcome these challenges is to assert one’s influence in full integrity – always keeping in the forefront, and leading with, the needs, goals, desired results, outcomes and feelings of those we intend to serve. As influencer marketers, it is not about us, or what we do, or what we want… it is all about the wants, needs, and goals of our audience – and what we can do for them. What can we make possible for them that might not be so unless they make the decision to follow us, or invest in what we have to offer? When we empower our audience – to make possible for them what was previously not – that is when we will achieve the outcomes we want for ourselves as well. 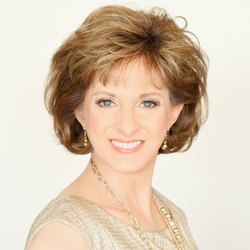 It’s not too late to register for the show and catch Sharon teach about impacting your audience(s) with magnetic messaging: powerful, motivating, and inspiring.